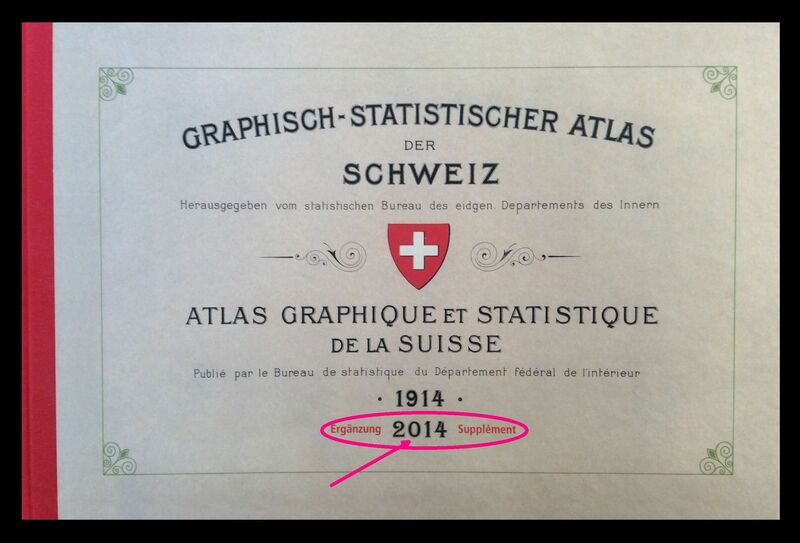 On October 18, 2015 Swiss voters will elect a new Parliament for the next four years. There are some very useful and also beautiful visual tools that help voters to get informed about developments in the political landscape and about candidates. Let’s have a look at some of these visual and interactive tools. With interactive tools, one answers questions to define one’s position on the political spectrum and to generate suggestions for candidates to vote for. Tools from smartvote or vimentis exist for the National Council (200 members and 3,802 candidates) and the Council of States (46 members and 161 candidates). For smartvote about 80 to 90 percent of the candidates have filled in a questionnaire. This questionnaire helps defining their political profile, a smartspider. In answering the same questionnaire a voter defines his one profile that is matched with the candidates’. In the end, he gets his own smartspider and suggestions for candidates in his constituency. The more questions a voter answers, the more precise his voting advice will be. 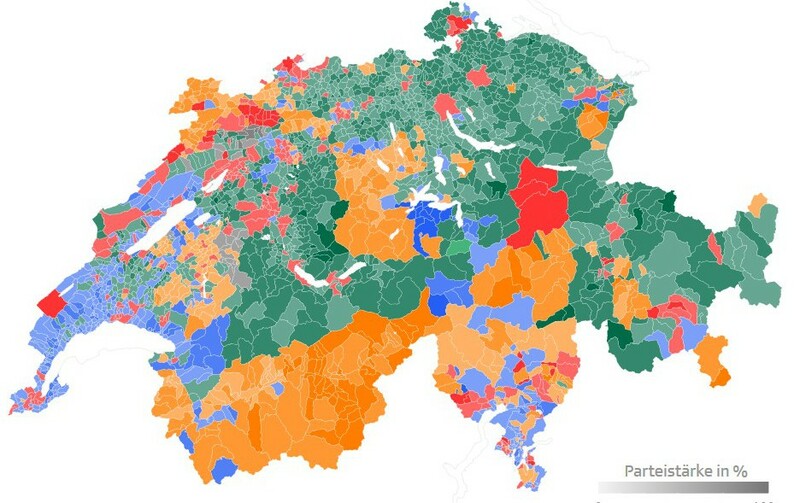 Lean Swiss communes more towards the left or the right, are they more conservative or progressive? ‘Based on the result of every single popular vote since 1983. The Somoto Research Institute together with the Swiss Broadcasting Corporation (SBC, swissinfo.ch’s parent company) has used the data to find this out.’ A quite complex interactive visualisation depicts this for types of communes and every single commune. 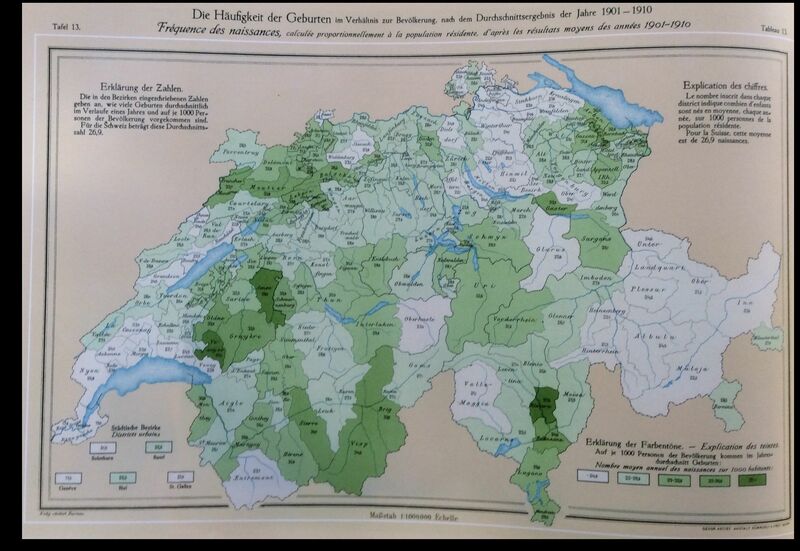 After selecting a political party and a commune the map of Switzerland shows how this commune changed its attitude towards the chosen party. Hovering over the map gives the facts of all other communes for the chosen party. 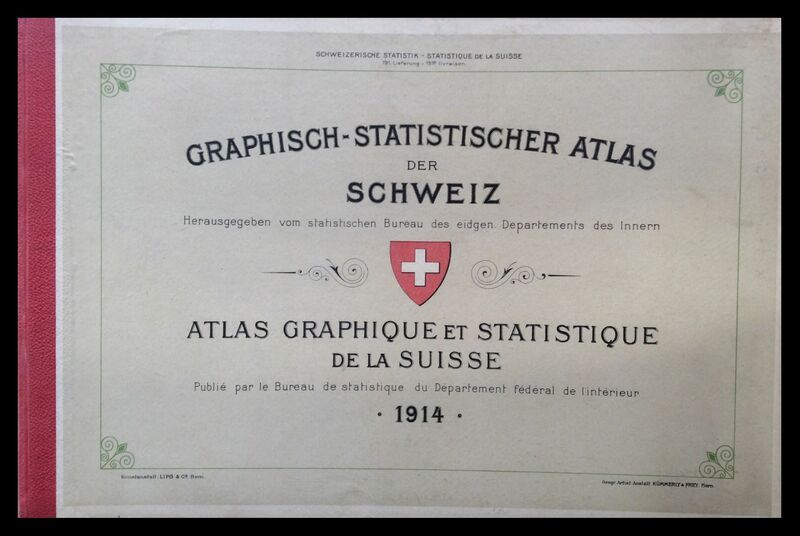 And not to forget the very rich interactive Political Atlas presented by the Swiss Federal Statistical Office (FSO). 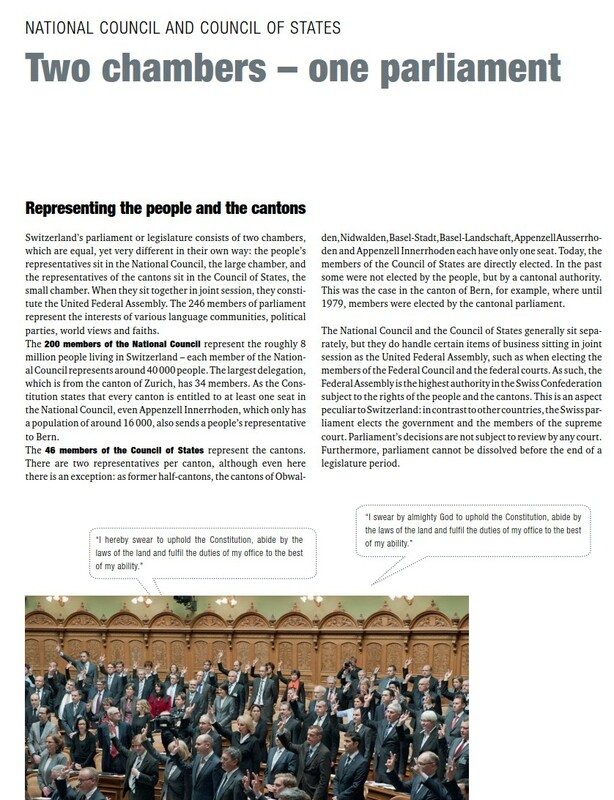 Elections to the National Council can be found from 1919 (!) to today. 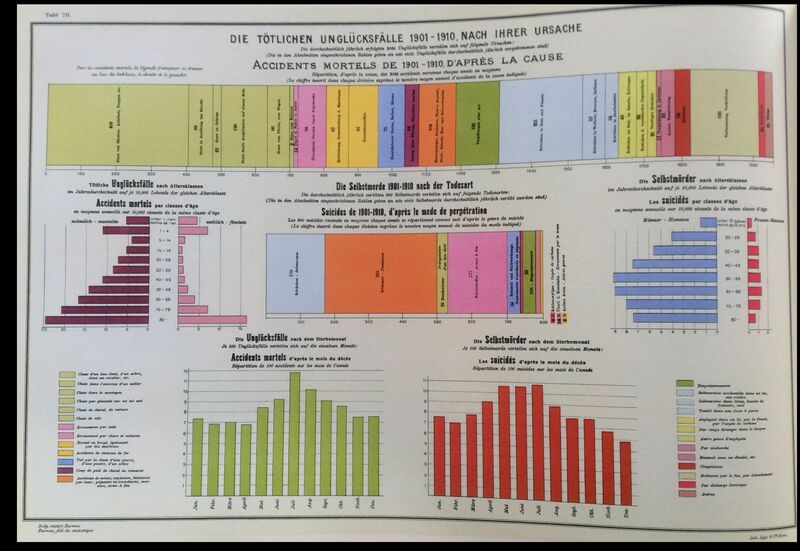 And also votations about innumerable topics are shown starting 1866 (!!). Have a look (with flash enabled). 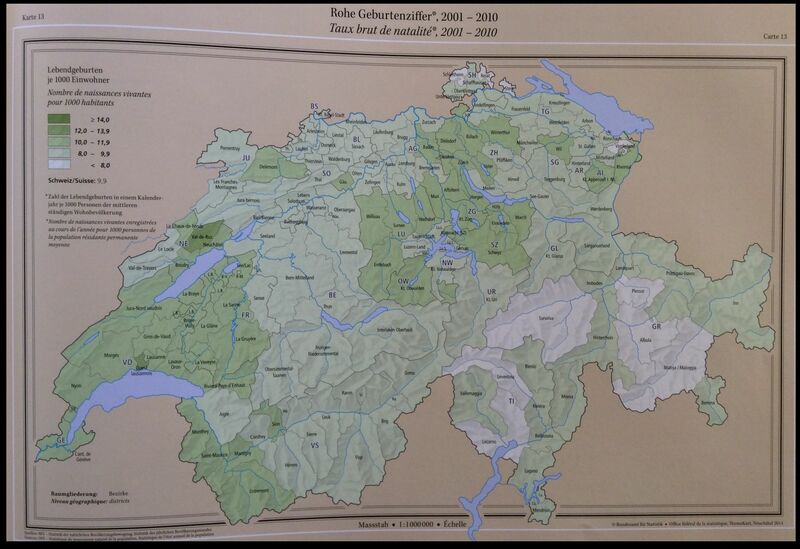 Do you like a Quiz … and learn about Swiss political parties? There are lots of indexes. The most famous one may be the Index Librorum Prohibitorum listing books prohibited by the cathoilic church. It contained eminent scientists and intellectuals (see the list in Wikipedia) and was abolished after more than 400 years in 1966 only. One index everybody would like to be registered in and this with a high rank is the Open Data Index. ‘The 2013 Open Data Index launches just before the Open Government Partnership summit in London, at a time when governments and civil society meet to make commitments, monitor progress, and plan for greater open government and transparency around the world.’ (more). URL of data online? 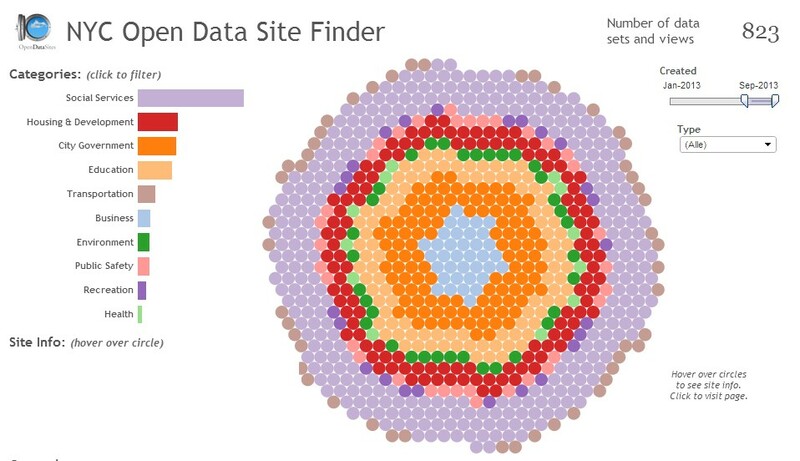 The link to the specific dataset if that is possible. Otherwise to the home page for the data. If that is not possible, then the link to main page of site on which the data is located. Only links to official sites are eligible, not third party sites. When it is necessary for submitters to provide third party links, then they are put in the comments section. Date the data became available? This question describes when the data first became openly available (online, in digital form, openly licensed etc). Sometimes this is approximate. For example, “2012” or “Jan 2012”. If there is a precise date, then they are typed in in a yyyy-mm-dd format. If the data is not open, then this question will instead describe the date the data first became available at all. (Note: some open data will have been available in other forms previously, so the date specified here is the date it became openly available). and National government budget (at a high level (e.g. spending by sector, department etc)) are less open. 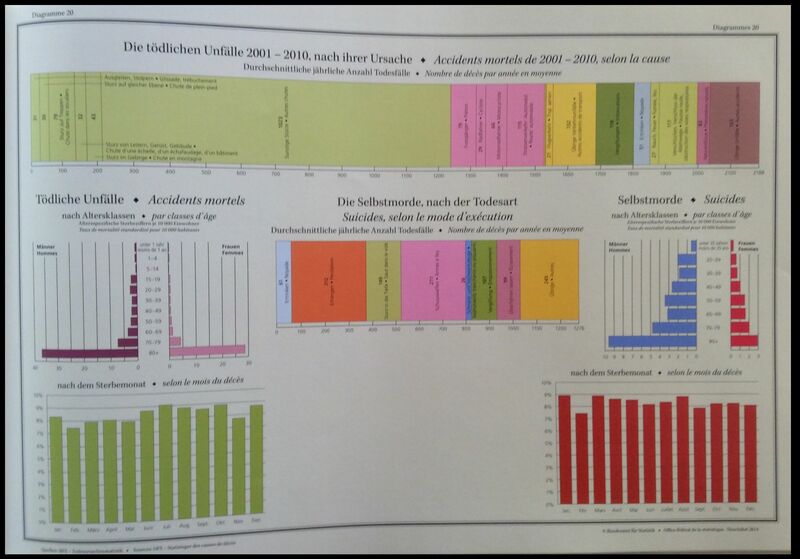 Data from swisstopo and Statistics Switzerland (partially thanks to the new opendata.admin.ch/ portal) have most criteria in green, the main question lies in licensing (not freely available, not free for commercial use).